Iberia is truly becoming a flag carrier for Spain to be proud of, with a subtle yet deep redesign of the whole travel experience under way. One of the world’s best carriers just got even better, as Singapore Airlines reveals its latest generation of cabins to the world. Contemporary Brazilian residences, the fashion industry and Copacabana beach were key inspirations for TAM’s ‘home from home’ interior, but could its life be limited? Welcome to the new JAL, a leaner airline with an ambitious plan for its 777 fleet, which will see dramatic improvements for every class of travel. 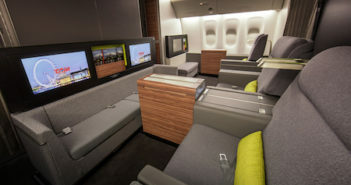 With a historic merger in the pipeline, American Airlines may become not just the world’s biggest airline, but potentially the best as it implements an ambitious interiors plan across eight aircraft types. Japan Airlines’ 787 Dreamliner interior is designed to give a taste of Japanese hospitality, and the chance to experience its changing seasons. Designing an A380 interior is full of temptations. What to do with the space? A bar? Shops? Showers? Malaysia eschewed such headline grabbers in favour of creating what it believes to be the ultimate customer experience. 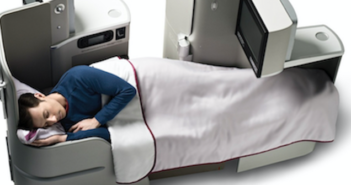 Hong Kong Airlines introduced a Club Class service in spring 2012 – a bold move given previous all-business failures. 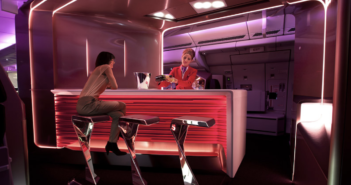 Virgin Atlantic’s latest Upper Class cabin may be evolution rather than revolution, but its all-new design is the product of a 4.5-year mission to increase revenue potential while enhancing the passenger experience.